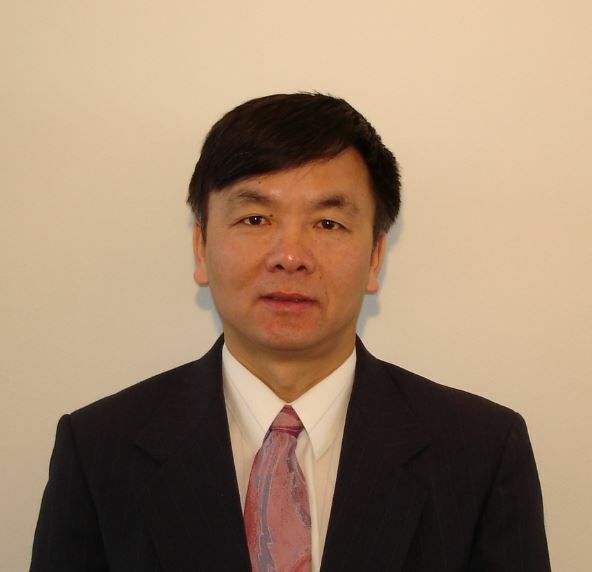 Dr. Jia-QiangHe is an Assistant Professor of Department of Biomedical Sciences & Pathobiology, Virginia Polytechnic Institute and State University (Virgina Tech). He earned his PhD at Peking Union Medical University, Beijing, China. Following graduation, he got his postdoctoral training in the fields of cardiovascular and stem cell biology at the University of Wisconsin-Madison.The overall goal of his research is to apply the stem cell-based therapy for treatment of cardiac diseases. His major research interests include stem cell biology, cardiac lineage differentiation, cardiomyocytes electrophysiology and functional maturity, stem cell tissue engineering, and stem cell transplantation in animal model. Various techniques from in vitro biochemical, molecular biological and functional analyses, to in vivo stem cell transplantation in animal model are employed to fulfill the proposed projects. The completed studies may offer novel approaches to repair cardiovascular diseases. 1. Camacho, P., Fan, H., Liu, Z., He, J.-Q.Small mammalian models of heart diseases. Am J Cardiovasc Dis 2016 (accepted) (the corresponding author). 2. Gong, H., Liub, R., Yu, H., Lu, J., Zhou, O, Kan, L., He, J.-Q., and Cao, G.Interior tomographic imaging of mouse 1 heart in a carbon nanotube micro-CT. J X-Ray Sci Tech 2016 (in press). 3. Kwiatkowski, A, Piatkowski, M, Chen, M, Kan, L, Meng, Q, Fan, H, Osman, AK, Liu, Z, Ledford, B, He, J.-Q. Superior Angiogenesis Facilitates Digit Regrowth in MRL/MpJ Mice Compared to C57BL/6 Mice. BiochemBiophys Res Commun. 2016, March 31. doi: 10.1016/j.bbrc.2016.03.149. [Epub ahead of print] (the corresponding author). 4. Chen, M., Kan, L., Ledford, B., and He, J.-Q. Tattooing Various Combinations of Ears, Tail, and Toes to Identify Mice Reliable and Permanently. J Am Assoc Lab Anim Sci. 2015 2016, 55 (2): 189-198. (thecorresponding author). 5. Kan, L., Smith, A., Chen, M., Ledford, B., Fan, H., Liu, Z, He, J.-Q. Rho-associated Kinase Inhibitor (Y-27632) Attenuates Doxorubicin-Induced Apoptosis of Human Cardiac Stem Cells. PloS One. 2015; 10(12):e0144513. (thecorresponding author). 6. Cai, C., Teng, L., Vu, D., He, J-Q., Guo, Y., Li, Q., Tang, X-L., Rokosh, G., Bhatnagar, A., Bolli, R. The Heme Oxygenase 1 Inducer (CoPP) Protects Human Cardiac Stem Cells Against Apoptosis Through Activation of The ERK/Nrf2 Signaling Pathway and Cytokine Release. J Bio Chem. 2012, 287: 33720-33732. 7. He, J.-Q., Vu, D.M., Hunt, G., Chugh, A., Bhatnagar, A., Bolli, R. Human Cardiac Stem Cells Isolated from Atrial Appendages Stably Express c-kit. PLoS One. 2011;6(11):e27719. 8. Blake, A., Ma, J., He, J-Q. Identifying Cardiotoxic Compounds. Genetic Eng & Biotech News. 2009, 29:34-35. 9. Sale, H., Wang, J., O'Hara T.J., Tester, D.J., Phartiyal, P., He, J-Q., Rudy, Y., Ackerman, M.J., Robertson, G.A. Physiological properties of hERG1a/1bheteromeric currents and a hERG1b-specific mutation associated with long-QT syndrome. Circ Res. 2008, 103:e81-95. 10. He, J.-Q., January, C.T., Thomson, J.A., and Kamp, T.J., Human Embryonic Stem Cell-Derived Cardiomyocytes: Drug Discovery/Safety Pharmacology. Expert Opinon Drug Discov, 2007, 2:739-753. 11. Xu, C.H., He, J-Q., Kamp T.J., Police S., Hao, X.M., O’s Sullivan, C., Carpenter, M.K., Lebkowski, J., and Gold J.D. Human embryonic stem cell-derived cardiomyocytes can be maintained in defined medium without serum. Stem Cells and Development, 2006, 15:931-941. 12. He J.-Q., BalijepalliR.C., Haworth R.A., and Kamp T.J. Crosstalk of beta-adrenergic receptor subtypes through Gi blunts beta-adrenergic stimulation of L-type Ca2+ channels in canine heart failure. Circ Res. 2005, 97(6):566-73. 13. He, J.-Q., Ma, Y., Causey J.A., Lee Y., Thomson J.A., and Kamp T.J. Human embryonic stem cells develop into multiple types of cardiac myocytes: action potential characterization. Circ Res. 2003, 93:32-39. 14. Kamp, T.J. and He, J.-Q. L-type Ca2+ channels gaining respect in heart failure. Circ Res, 2002,91:451-453. 15. He, J.-Q., Conklin M.W., Foell J.D., Wolff M.R., Haworth R.A., Coronado R., and Kamp T.J. Reduction in density of transverse tubules and L-type Ca2+ channels in canine tachycardia-induced heart failure. Cardiovasc. Res. 2001, 49:298-307. 16. He, J.-Q., Pi, Y.Q., Walker, J.W. and Kamp, T.J. Endothelin-1 and photo-released diacylglycerol increase L-type Ca2+ current by activation of PKC in rat ventricular myocytes. J. Physiol(London). 2000, 524:807-820. 17. He, J.-Q., and Zheng, Y.-F. Calcium channels in Cell Membrane. In Liu, J-S. and Xiao, D.-M (Ed). "Cell Signal Systems and Regulations". The United Publishing House Peking Union Medical College and Beijing Medical University. p75-91; June, 1998 (Book chapter). 18. He, J.-Q., Qu, J.-H., Zheng, Y.-F., and Wang, X.-F. Characteristics of voltage-dependent Ca2+ channels in smooth muscle cell membrane of visceral resistance vessel in SHRsp. Acta BiophysicaSinica. 1998, 14:418-428. 19. He, J.-Q., Xu, C.-H., and Meng, X.-F. Oxygen-specific conductance of the rat during acute hypobaric hypoxia. Chin. J. Pathophysiol. 1995, 11:199-202.